The Taoiseach during the national address tonight. IT’S SAFE TO say that there wasn’t a whole lot that was new in the Taoiseach’s national address this evening. Part of this was down to the subject matter. Unlike his first state of the nation address in December 2011 when he warned the country about just how bad the upcoming Budget was going to be, this one on the subject of Ireland’s official exit from the bailout programme was a little less dramatic. But it was also because there just wasn’t a whole lot for Enda to actually say. Michael Noonan had already observed that things will be almost exactly the same tomorrow morning and the only real difference will be felt on the markets – something the Taoiseach echoed in his speech tonight, saying that “our lives won’t change overnight”. He hit a lot of familiar marks, talking about the tough decisions which had been necessary, acknowledging the hardships that people have been through and promising that Ireland is on the right track. It was clear that this was more of a marking of a moment, something that will be shown on Reeling in the Years at some stage in the future. This didn’t go unnoticed by people on social media. While the Government used the hashtag #irlexit to talk about the speech on Twitter, Twitter users weren’t so kind. #Stateofit trended in Ireland more than one hour before the speech began as users took the State of the Nation theme and added their criticisms. #FGFail which also trended in Ireland was similarly used by some tweeters to criticise the Taoiseach. Some went further. A Facebook group called Turn Your TV Off On Enda Kenny This Sunday amassed more than 2,700 likes, with people pledging not to watch the Taoiseach’s address. Poll: Does today’s bailout exit make you feel any better? Email “Analysis: The reaction to Enda Kenny's State of the Nation speech”. 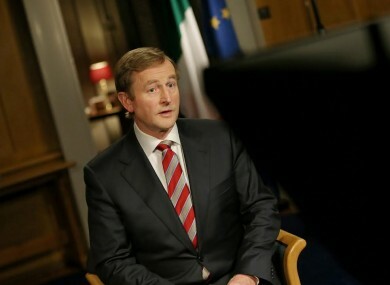 Feedback on “Analysis: The reaction to Enda Kenny's State of the Nation speech”.